You’ve finally reached your golden years. Now that the retirement parties have wrapped up and reality has sunk in, you’re ready to pack your bags and head for bliss. What does bliss look like to you? Perhaps you’re seeking endless sunshine, tropical drinks, and an active community. Or, maybe you’d prefer solitude, rolling hills, and a wide range of food options. Either way, determining where you’ll spend your golden years is an important decision and one you’ll likely only want to make once. 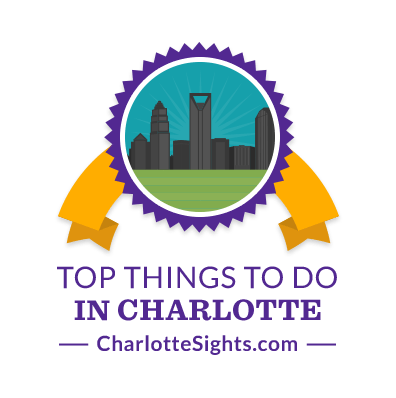 According to U.S. News, of 125 metro areas in the U.S., Charlotte was ranked 22nd best place to live and #34 best place to retire. Known for its vibrate economy and wide variety of active adult and over 55 developments, retirees are finding themselves settling into the Queen City. The area is also surrounded by medical facilities offering specialists in all areas, and is home to professional basketball and football teams. Currently being developed on 370 acres of woodlands, Cresswind Charlotte offers resort-style amenities, a state of the art fitness center, and a variety of single-family homes to choose from. Just minutes from Larkhaven Golf Club, shopping, and downtown Charlotte, Cresswind is the perfect 55+ community for an active retiree. This place won’t take much convincing. Located on the Lake Wylie shoreline offering various types of new home layouts, The Vineyards is the largest lakefront resort-style neighborhood in the Charlotte area with the best waterfront values according to 55places.com. Amenities include over ten miles of walking trails, a fitness center, grand pavilion, activity centers, and for pet lovers, a dog park! 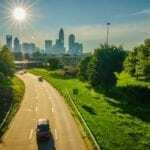 The community is located just 15 minutes from Charlotte, two miles from I-85 and I-485 and three miles from Charlotte Douglass International Airport. If you’re looking for low-maintenance retirement living, this is the spot for you. Featuring first-floor master suits and open floor plans, the Regency at Palisades is luxurious to say the least. Residents can enjoy a state-of-the-art fitness center, tennis courts, indoor and outdoor pools, and access to Lake Wylie. Palisades is located close to the Charlotte area on the border of North Carolina and South Carolina and offers various dining, shopping and entertainment options. Within walking distance to shops and restaurants in the Charlotte area, Polo Club is an excellent retirement option for the active 55+ retirement community. This community offers single-story architecture, privacy, and luxurious options for residents to enjoy. Polo Club features a 3,000 square-foot clubhouse, is located close to Latta Plantation Park and Equestrian Center, and just 15 minutes from Charlotte Douglass International Airport. Seeking peaceful, maintenance-free living? Then check out the single-family ranch homes available in The Meridians community. Featuring an 18-hole golf course, fitness center, outdoor pool with patio, and multiple tennis courts, The Meridians provides residents more time to socialize while the association takes care of exterior maintenance. This community is also conveniently located just miles from major shopping centers, golf courses, and 19 miles from Uptown Charlotte. Make sure you explore the many other retirement neighborhoods that Charlotte has to offer; you’re sure to find exactly what you’re looking for!